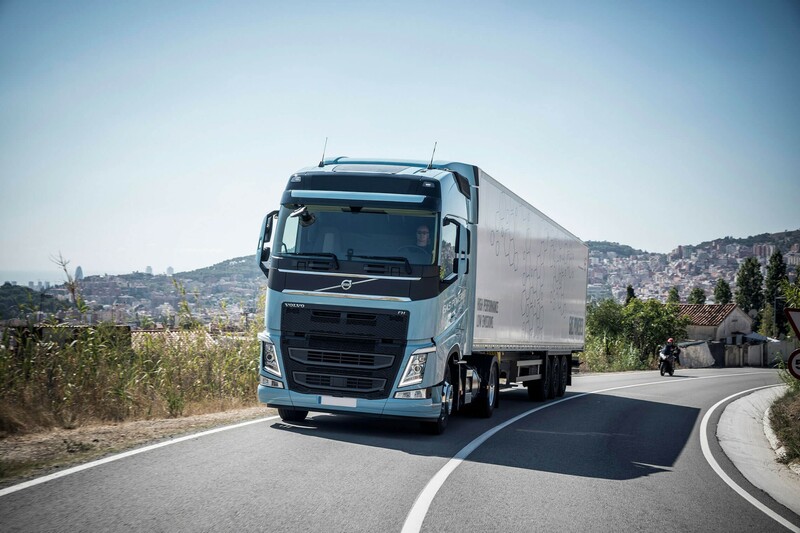 Il sistema di acquisizione di Road Load Data viene utilizzato per misure di durability durante le prove reali o sui banchi di prova, sul veicolo intero oppure su determinati componenti. Varie tecnologie assicurano di evitare ripetizioni e ridurre drasticamente i tempi di test. 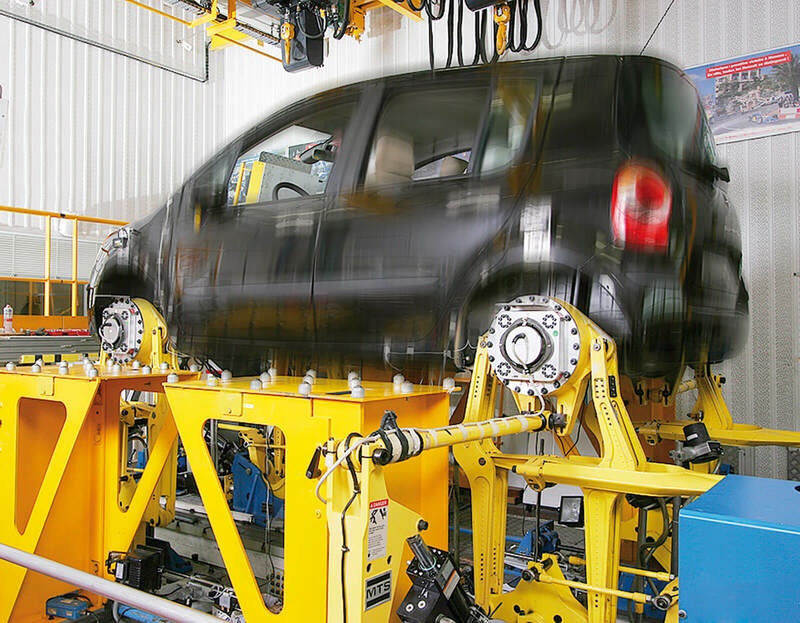 Road load data system is used for durability measurements during real test drives or on testbeds, either for entire vehicle or certain component. Various smart technologies ensure to avoid re-runs and shorten the time of testing dramatically. ANY SENSOR: Virtually any analog, counter, and digital sensor can be connected and data acquired synchronized down to microseconds. Measure vibration, strain & stress, voltage, etc. OTHER DATA SOURCES: Additional synchronized acquisition of other sources is possible within the same system - GPS, GYRO, CAN, OBDII, J1939, FlexRay, XCP/CCP, Video, etc. 1000's CHANNELS: The system can easily be scaled from 8 to 1000's of channels. HIGH ISOLATION: All inputs offer high ±1000V galvanic channel-to-channel and channel-to-ground isolation to prevent ground loops and keep the maximum signal quality. SAMPLING RATE UP TO 1MS/SEC: Analog inputs are available with a simultaneous sampling rate of up to 1 MS/sec per channel. HIGH DYNAMIC 160 dB: Our highest performing SIRIUS waterproof offers dual 24-bit ADC with the high dynamic range 160 dB in time and frequency domain. ANTI-ALIASING FILTER: All input offer high-quality 24-bit aliasing free sampling. TEDS: The data acquisition systems implement TEDS sensor technology. Connected sensors equipped with TEDS will be automatically recognized and configured. 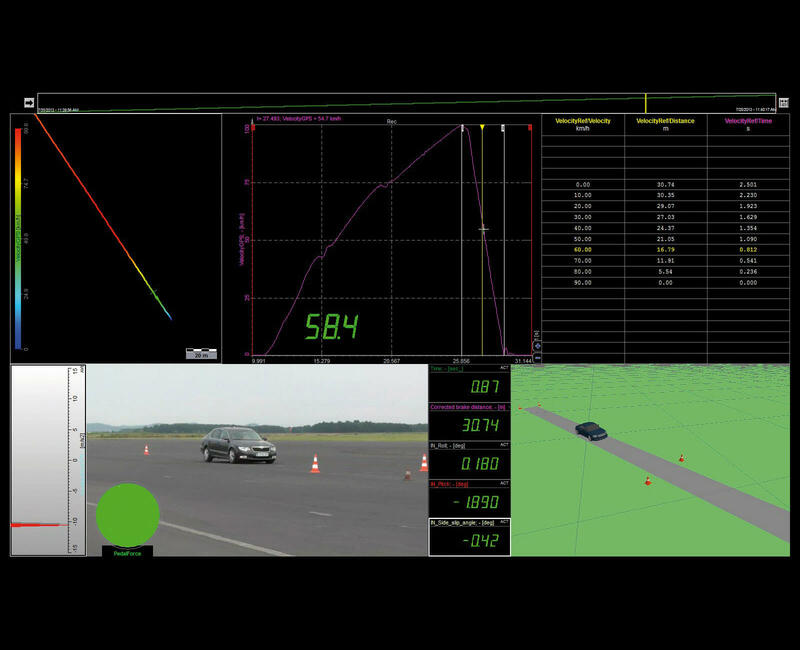 ONE SYSTEM FOR ROAD AND LAB TESTING: R8rt system and SIRIUS modular can be used to record the data on the real roads or proving ground and also in the lab to replay the recorded data on the road simulator. Included EtherCAT slave port can feed the data to any EtherCAT master controller in real-time. The solution offers very easy integration with MTS road simulator with one cable only. ADDITIONAL ANALYSIS: Possibility to combine different applications and analysis with the same system. Vehicle dynamics, combustion analysis, vibrations, etc. are just a few applications that can be combined with the same solution in one synchronized data file. EXPORT DATA: Software offers to export data in several different data formats like RPC III for use with testbeds or for additional post analysis in Matlab, Excel, Diadem, FlexPro, Famos, UNV and others. Road load data system is capable of recording the data during real test drives under extreme conditions. Various smart technologies ensure to avoid re-runs and shorten the time of testing dramatically. The system can be extended to thousands of channels and is capable of recording analog, digital, counter, CAN, XCP/CCP, FlexRay, video, GPS and other sources, all inside one box with perfect synchronization. Virtually any sensor can be connected and acquired during the drive. The system is very easy to install, configure and is ready in a matter of seconds after the sensors mounting. Highly reliable and sophisticated DAQ hardware offer "worry-free" measurements. The R8 line of data acquisition instruments offers high channel count in a very compact and robust chassis. It also features built-in SSD data logging and powerful data processing computer in a single box. The system can be powered directly from the vehicle battery and/or can be optionally configured with internal high capacity Li-ion battery for maximum reliability. 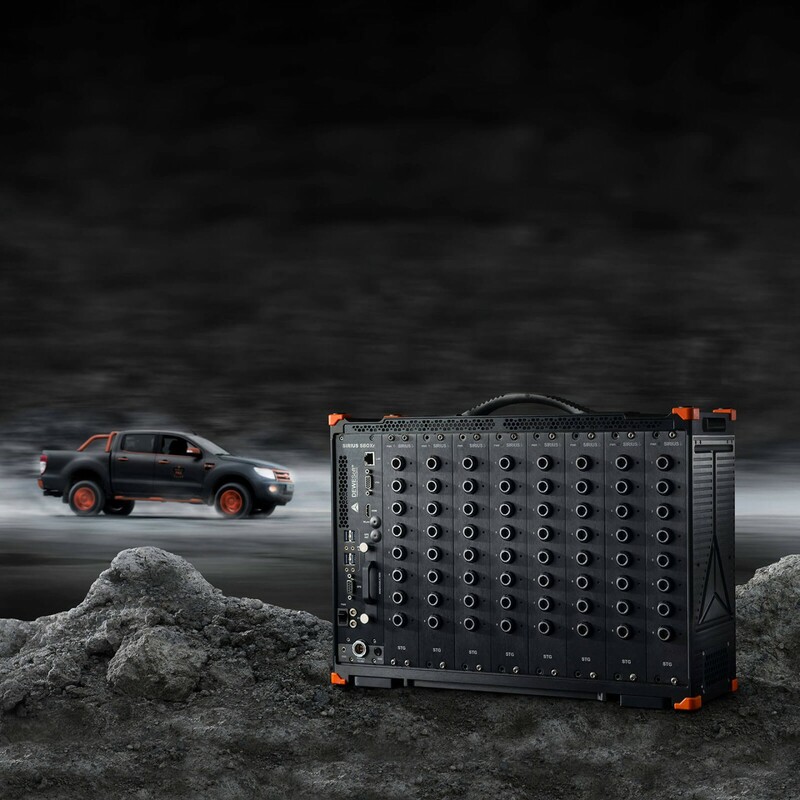 The system can be configured with up to 128 analog channels, 64 counter channels, 192 digital channels, 8 CAN ports, 100 Hz GPS sensor and 64 analog outputs. Dewesoft X software offers additional acquisition of XCP/CCP, FlexRay, multiple video cameras, gyro platforms and wheel force transducers - Kistler KiRoad. powerful analysis features and data export. R8rt and SIRIUS DAQ systems include EtherCAT and USB data interfaces. Instruments can provide reduced real-time data to a 3rd party control system and record full-speed data to Dewesoft X software in parallel. This makes them unique and allows them to be used in the control loop and as a DAQ recording device at the same time. DAQ systems can provide acquired samples in digital form to the test bench control (such as MTS road simulator) if it supports the EtherCAT interface. This reduces a cost for the customer dramatically as the solution requires only a single cable from our DAQ systems to the test bench controller. It also eliminates the need for a high-level analog input stage on the controller side. 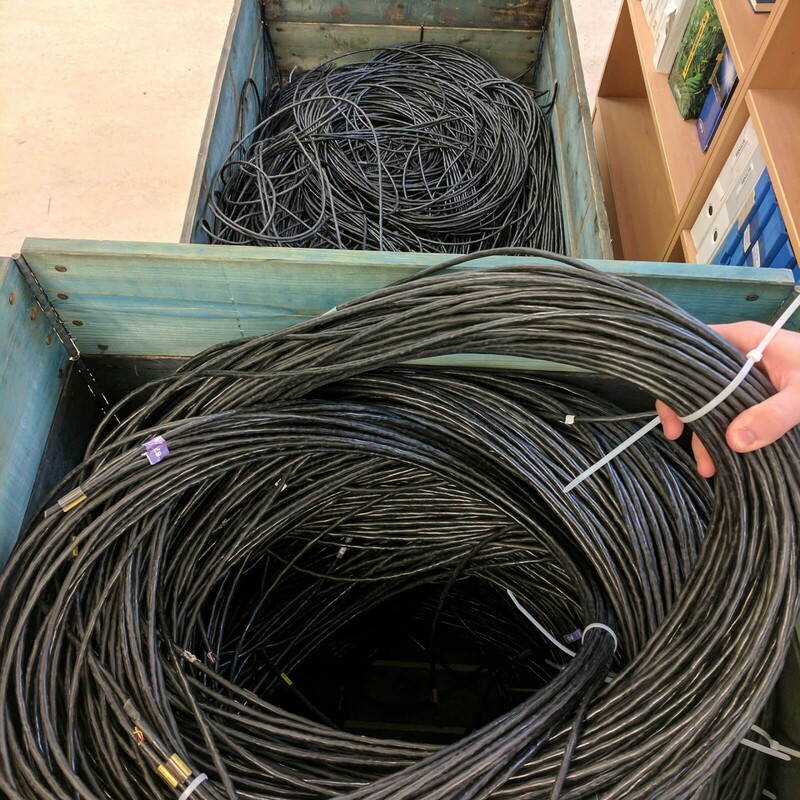 Slide the photo right to see the number of cables eliminated at one of our customers by replacing the existing system with our R8rt instrument. Perfetta integrazione di GPS 100Hz ad elevata accuratezza e piattaforme inerziali IMU (Inertia Measurement Units) per offrire la massima precisione di posizione nei test. So-called Vehicle Testing Suite (VTS) is a suite of automated test workflows developed together with Leane International and tested by Fiat-Chrysler Automobiles in its European proving ground. The entire solution is based on top of Dewesoft X software and Dewesoft data acquisition systems and offers standard test maneuvers and quick pass/fail evaluation for the driver.